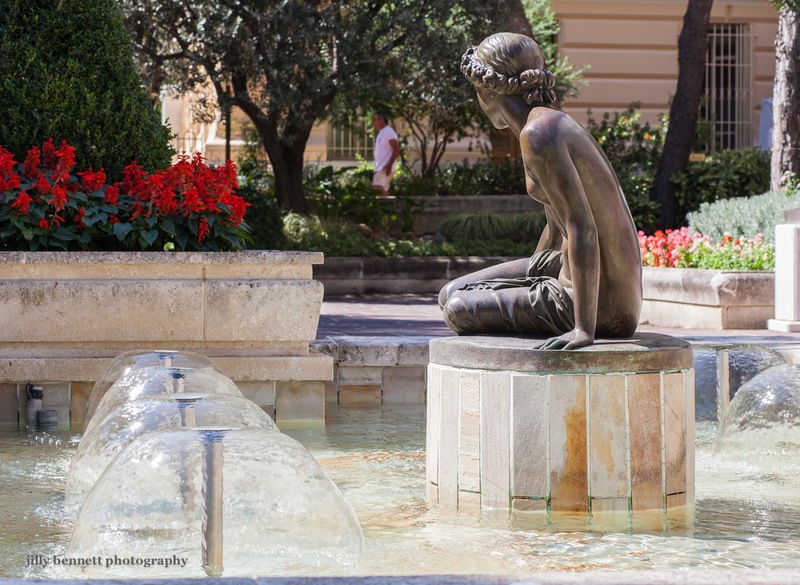 This sculpture is called Nymphe Salmacis and it's by the Monegasque sculptor, F. J. Bosio, who lives between 1768 and 1845. It stands in the forecourt of one of Monaco's public buildings on le rocher. I photographed this little stature as well, but mine doesn't look that nice! I took the photo from the other side and in the shade!